FUTURE CLASSIC, LEATHER INTERIOR, BOSE SOUND SYSTEM. 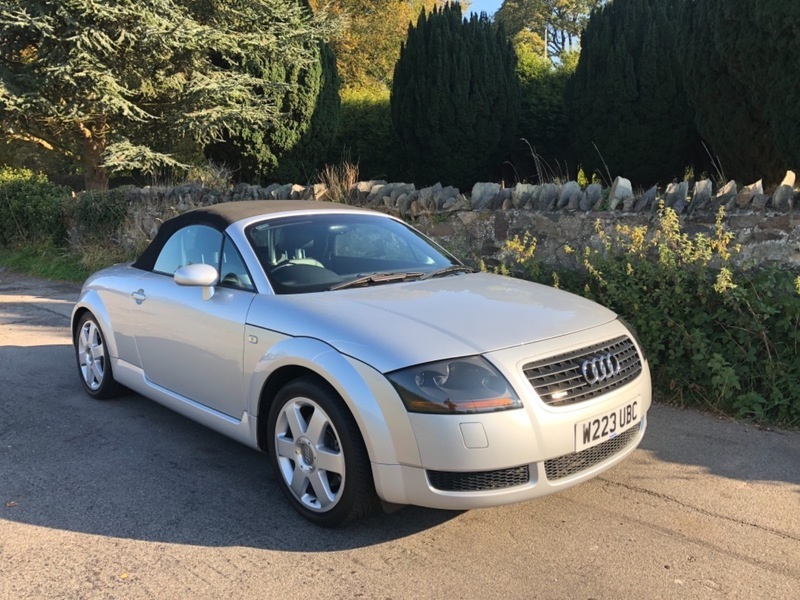 THIS LOVELY AUDI TT ROADSTER HAS JUST ARRIVED INTO STOCK WITH US HERE AT GETACAR.SOURCE- We have been fortunate enough to source this from one of our existing customers. CONDITION - It has been incredibly well looked after by its 4 former keepers and is in excellent condition for its age and mileage and has covered a genuine 88,500 miles. SERVICE HISTORY The vehicle comes with a Comprehensive Service History and benefits from a large record of not only receipts from its many previous services also previous mots. PRESENTATION - It looks stunning presented in Metallic Silver. It boasts a Black Leather interior that hasn't been smoked inside or abused in any way SPECIFICATION - It has an excellent specification including: LEATHER INTERIOR, BOSE SOUND SYSTEM,AIR CONDITIONING, ALLOYS, ELECTRIC WINDOWS Plus Much, Much, More, GETACAR-We beleive this vehicle will be a future classic and it is rare opportunity to acquire one of this standard.We offer fantastic part exchange valuations, industry leading extended warranties, and all of our vehicles are HPI clear. All our cars are fully prepared to a high standard and will be fully valeted prior to sale. Please call to discuss this fantastic car in more detail. Family run business, open 7 Days. Appointments only on Sunday please call our number to arrange a suitable time.